Please see feature cars for full write up on this car. Has the correct ‘E’ for ‘Race’ on the 12th digit of the chassis number. Confirmed the 2nd s1 sport 190 ever built out of a total 36 world wide, 19 of which were for the UK. Many of these went to America as track only cars. 1 of 5 made in Metallic Azure Blue B20. Must be one of the lowest mile 190’s with only 14,600 genuine miles from new. 1 previous owner on V5. Original bill of sale from Bell & Colvill. 2 sets of keys and immobiliser fobs. 12 months mot and 6 months tax if required. Every mot from new to confirm mileage. Being one of the first built it has a very high specification, the options recorded are Metallic paint and passenger seat. 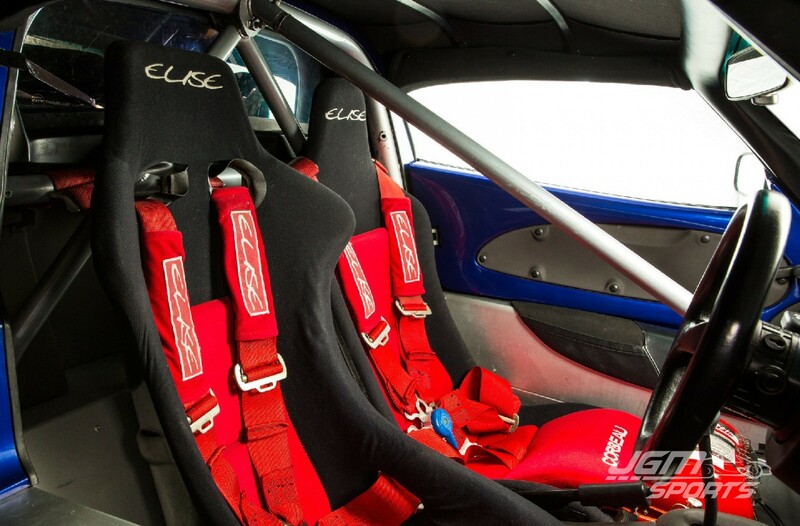 Interior is listed as Race Specification and is in excellent condition and factory standard, A-frame and removable petty bar, 6 point harness, race drives seat, plumbed in fire extinguisher, removable momo steering wheel and electric cut off switch. 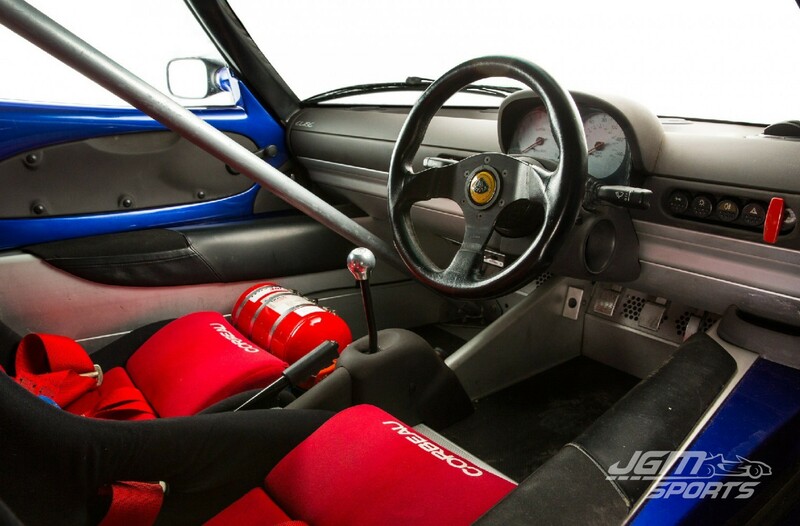 No alarm, No radio or fitting kit but it does have a heater! It also has the stack data logging wiring loom which is something we have read about but never seen before. Exterior is also factory standard, pinned bonnet and boot, external fire and electric pulls, plastic rear window incorporating rear towing eye, lightweight non locking fuel cap and magnesium wheels. No front number plate holes/plinth or driving lights. 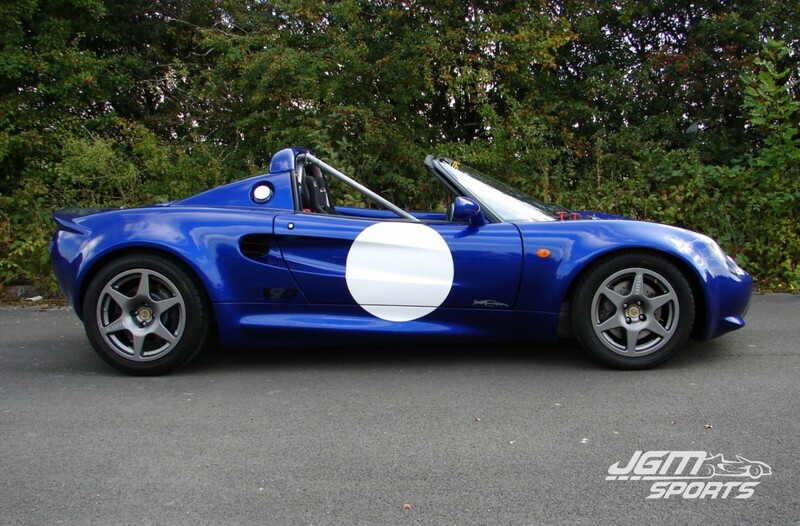 All in very good condition it was built as a track car and has been used as a track car so there is the odd stone chip mark etc but nothing serious. Chassis is in immaculate condition as can be seen by the photos, each wheel arch, all under trays and underneath the bonnet. The sport 190 comes with a motorsport anti rollbar and official Lotus uprated toe links as standard. It is also running Dynamic 3 way shocks with remote reservoirs front and back. 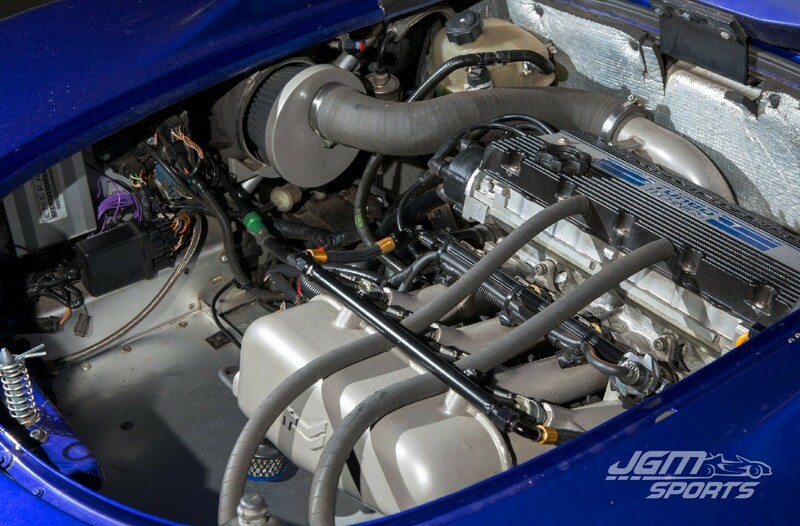 Engine – the original VHPD engine still remains, it was rebuilt approximately 7,000 miles ago by Turbo Technics to TT260 spec. 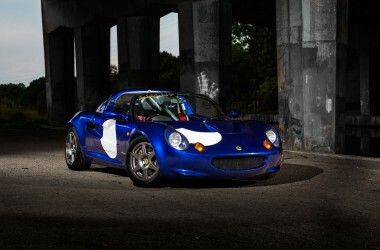 All the information on the tt260 is available on their website, please google ‘tt260 elise’. The original cams, vhpd head, 421 manifold, gearbox and exhaust system remain unchanged and the car runs an emerald ecu which is programmable to any engine configuration so for the purists it would be possible by sourcing some throttle bodies, standard compression pistons etc to revert it back to normally aspirated 190 spec and sell on the tt260 parts. C service – Cambelt, aux/supercharger belt, plugs, engine/gearbox oil/filter etc. Elise parts remote thermostat kit added. Full suspension / wishbones inspection – The wishbones are still gold and as new (see pics) the motorsport anti rollbar was re-powder coated to freshen it up and ball joints replaced. 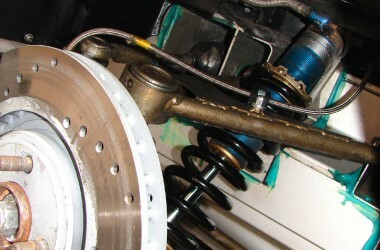 Brakes front and back fully serviced – New Lotus motorsport drilled discs, pagid pads and fluid change. Wheels – Magnesium wheels stripped and repainted by a company that knows how to properly refurbish magnesium wheels. As new Yokohama Advan tyres and Lotus stickers fitted. Full ride height and geo adjustment. Rolling road, engine check up, map adjustment to mainly improve cold start and part throttle driving. Its runs perfectly with no faults, no oil or water use and still has the characteristic 190 idle due to the sport 190 cams. 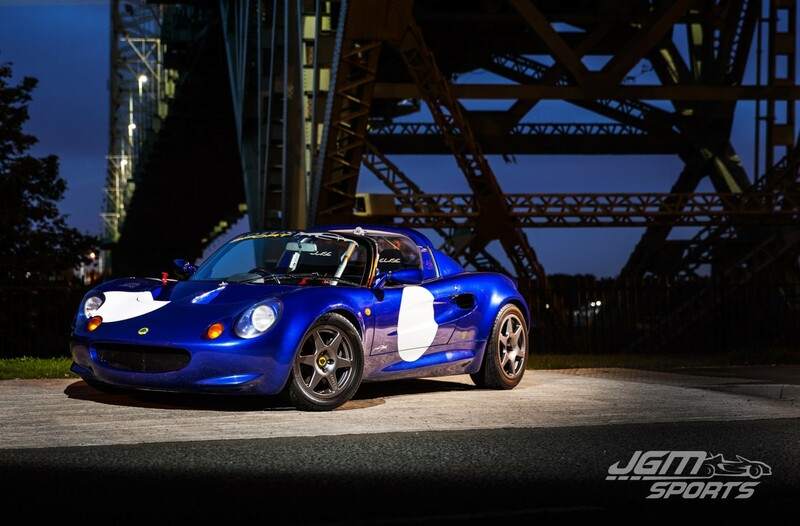 This Elise is a pleasure to drive, the extra low down torque is even more impressive than the power and transforms the driving experience, matched with the sport 190 close ratio gearbox its a very rapid easy to drive car and with 280bhp and 230 torque it pulls all the way through the rev range like no other k-series car I have ever driven. 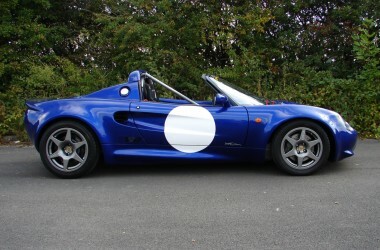 S1 Elise Sport 190’s very rarely come up for sale and this is a fair bit cheaper with lower miles than any we have seen in a long time.